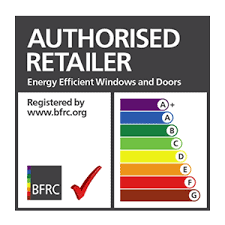 BFRC Ratings is the premier UK authority for independently verified ratings of energy efficient windows and doors. BFRC rated energy products carry a ‘rainbow’ label similar to those found on fridges, freezers, washing machines. Being a member of this scheme allows us to show our customers that we are serious about supplying only the finest quality, energy efficient and environmentally friendly windows and doors for their projects.